Over the first two years of Jeremy Corbyn’s leadership of the Labour Party, several commentators noted fascinating parallels with an iconic fictional account of a Labour government. Originally written as a novel by journalist and future Labour MP Chris Mullin in 1982, A Very British Coup depicts the surprise election of a radical left-wing Labour Party led by staunch socialist Harry Perkins in an imagined near future. As the story unfolds, Perkins struggles against a conspiracy to engineer his downfall by vehement opponents of his agenda, including figures from intelligence agencies, the media, the civil service, and the US government. Six years later, a television adaptation brought the story to a larger audience, cementing its place as a cultural touchstone of the 1980s. Credit: Labour Party General Election Launch, 9 May 2017 at Event City, Trafford, Manchester: “For the Many not the Few.” Photo by Sophie Brown. Public domain via Wikimedia Commons (Creative Commons Attribution-Share Alike 4.0 International). Many of the controversies surrounding Corbyn’s leadership eerily resembled aspects of Mullin’s story. This included a warning from an anonymous general of a potential mutiny in the army, allegations of “dark practices” conducted against Corbyn by MI5, and the declaration by a former head of MI6 that a Corbyn victory in the 2017 election would be “profoundly dangerous for the nation.” The novel’s satirical depiction of Perkins’ press coverage in particular foreshadowed that which greeted Corbyn. 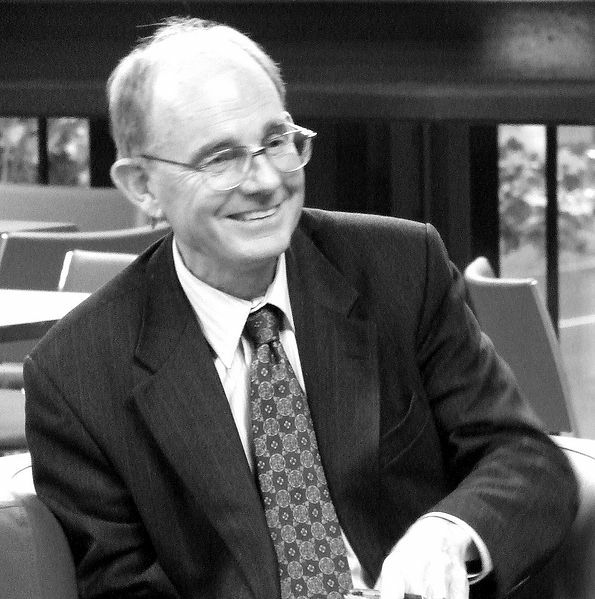 In Mullin’s vision, the right-wing press responds to Perkins’ initial party leadership by gloating “Labour votes for suicide.” Yet in case readers are tempted to believe otherwise, they provide tenuous allegations of Trotskyite infiltration and support for terrorists, hyperbolic comparisons with the Third Reich, and apocalyptic forecasts of chaos and violence in the event of a Labour election victory. Credit: Chris Mullin MP in 2009. Photo by Maggie Hannan. Public domain via Wikimedia Commons (Creative Commons Attribution 2.0 Generic). Indeed, despite exploring the means through which the Establishment works to topple Perkins in some detail, Mullin’s book is much vaguer on how his fictional Labour leader surmounted those forces to become prime minister in the first place. The fascination of its high-concept “what if?” premise is arguably rooted in the very unlikeliness of the scenario in the 1980s, rather than it being a plausibly projected future. The novel attempts some explanation; anticipating the dominance of free-market Conservatism through the 1980s, it shows the radical Labour government obtaining power following severe economic collapse at the end of the decade. Yet even so, it offers little sense of how fierce press opposition was overcome. Concurrently in the real-world, an orthodoxy was developing that Labour could no longer win an election without conciliatory appeals to the right-wing press, and later Tony Blair’s three election victories were widely attributed in part to his willingness to court the Murdoch empire. Perkins exposes the conspiracy during a live prime ministerial broadcast. 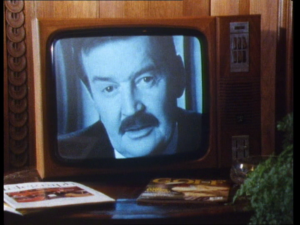 A Very British Coup (Channel 4, 1988), episode 3 (3 July 1988), prod. Sally Hibbin & Ann Skinner, dir. Mick Jackson. Fair use. 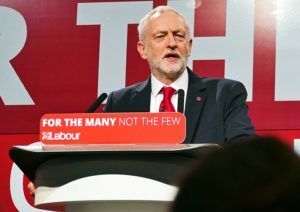 In the 2017 election, however, Corbyn achieved an unexpected triumph (if not full victory), leading Labour from a 20-point lag in the polls to full resurgence, destroying the Conservative Party’s majority and defying widespread belief that his leadership could only conceivably lead to ruinous defeat. A more dynamic campaigner than anticipated, Corbyn benefitted from broadcasters’ obligation to give major parties equal coverage in an election period, gaining more opportunity to put his case forward whilst cutting through his systematic misrepresentation in the press (as found by numerous studies). This echoes the climax of the televised A Very British Coup, in which Perkins audaciously uses a prime ministerial broadcast to expose the forces subjecting him to blackmail. 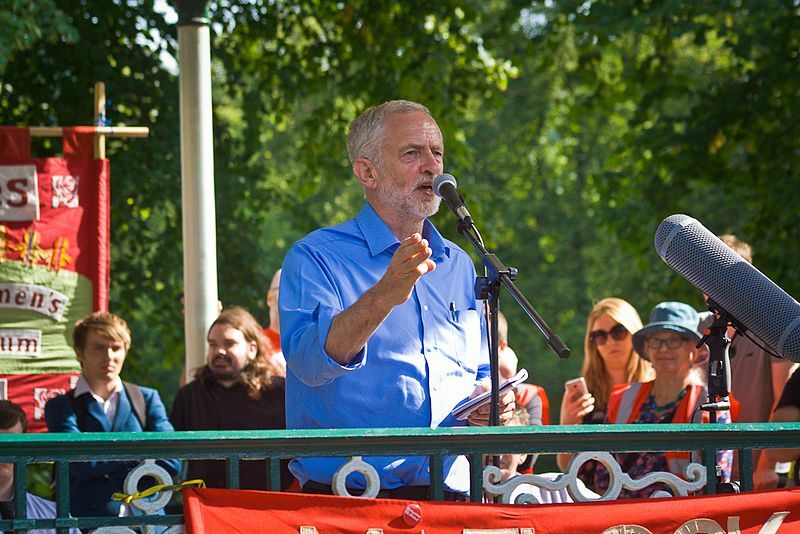 Credit: Jeremy Corbyn speaking at a political rally during the Labour leadership election in Matlock, Derbyshire, 16 August 2016. Photo by Sophie J. Brown. Public domain via Wikimedia Commons (Creative Commons Attribution-Share Alike 3.0 Unported). Other features of the Corbyn campaign were not anticipated in Mullin’s story. Overall, A Very British Coup presents “the people” (credited as such in the adaptation) in a largely passive capacity, their role amounting to little more than contributing to opinion polls, casting votes, and sitting fearfully in front of television screens as various crises unfold. Despite Perkins’s own background as a campaigner, the story gives little sense of a continuing role for political activism or the presence of a broader social movement. By contrast, Corbyn was propelled to the Labour leadership and sustained through difficult times by a groundswell of activism. In the election campaign, this movement developed to spread Corbyn’s political ideas through alternative means of public engagement, ranging from the premodern (rallies) to the postmodern (social media). One outcome was that, for the first time in decades, the Sun and the Daily Mail got an election result decisively wrong, and over subsequent days optimistic commentators speculated that “their power over politics is broken.” Mullin’s novel opens with the sentence “the news that Harry Perkins was to become Prime Minister went down very badly in the Athenaeum.” This can be seen to anticipate reports that “Rupert Murdoch stormed out of The Times Election Party after seeing the Exit Poll,” and that editor Paul Dacre had made a similarly abrupt departure from the Daily Mail office. Astonishing result. Time for all concerned to start taking Corbyn seriously. Joseph Oldham is an Associate Fellow in Film & Television Studies at the University of Warwick. 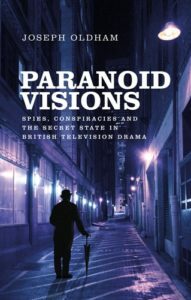 An extended analysis of the television production of A Very British Coup features in his forthcoming book Paranoid Visions: Spies, Conspiracies and the Secret State in British Television Drama (Manchester University Press). He has published articles in the Journal of British Cinema and Television, the Journal of Intelligence History, Adaptation, and The Conversation, and co-organised the international conference Spying on Spies: Popular Representations of Spies and Espionage (London, 2015). Category: Film & Media, Television	0 Comments.